Last week-end in Nevada, the “Life Is Beautiful” Festival took place in downtown Las Vegas with an impressive music, art and culinary line-up. Stretching over 15 blocks of downtown the ambitious arts program curated by Charlotte Dutoit featured works from international artists with D*Face, Banksy, Ruben Sanchez, Ana Maria, Sbagliato, Bikismo, Bordalo II, Filthy Luker, Pixel Pancho, Stephane Mlaka, Jason Woodside and Trevor Wheatley & Cosmo Dean. 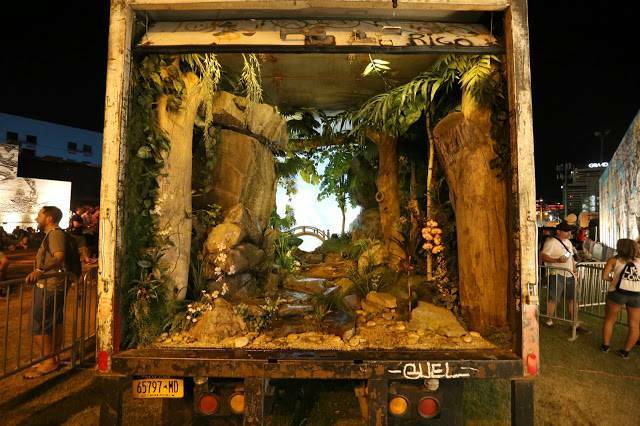 Banksy’s “All City” truck, D*Face’s enormous zombie Hello Kitty or a gigantic green octopus bursting out of an abandoned motel were some of the installations that welcomed us within the large-footprint. 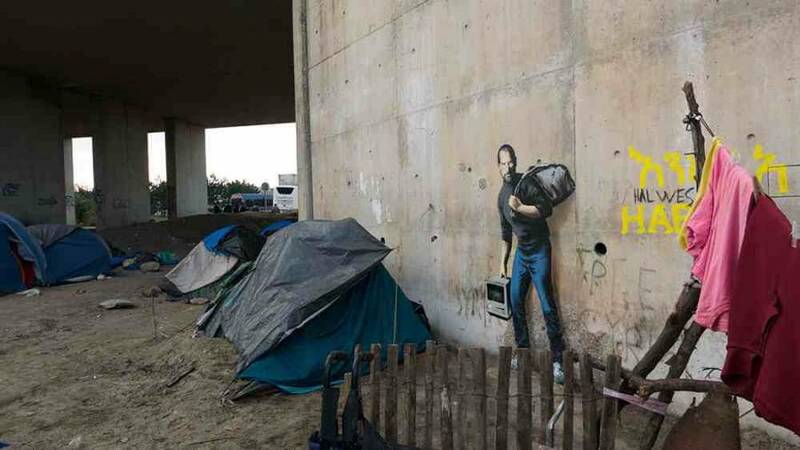 On top of murals from the past editions (Doze Green, Vhils, Borondo, Fintan Magee…), a series of large-scale artworks were unveiled with some impressive pieces by Bikismo, Ruben Sanchez or Ana Maria. 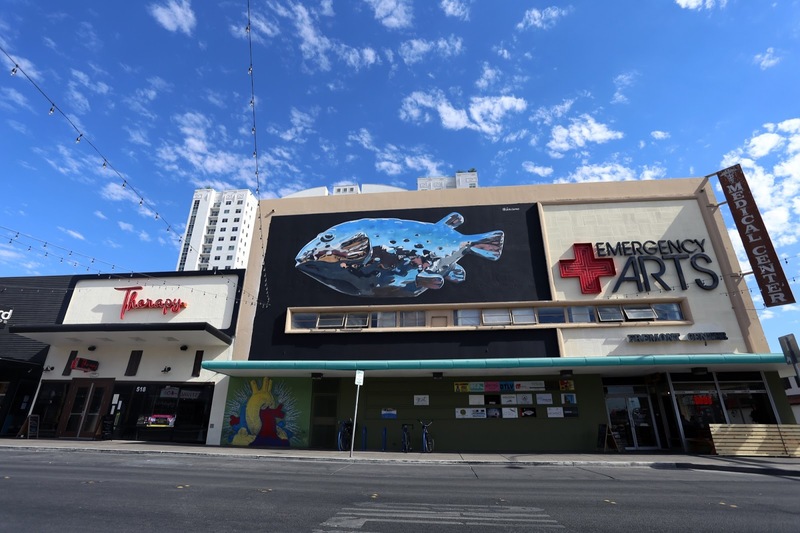 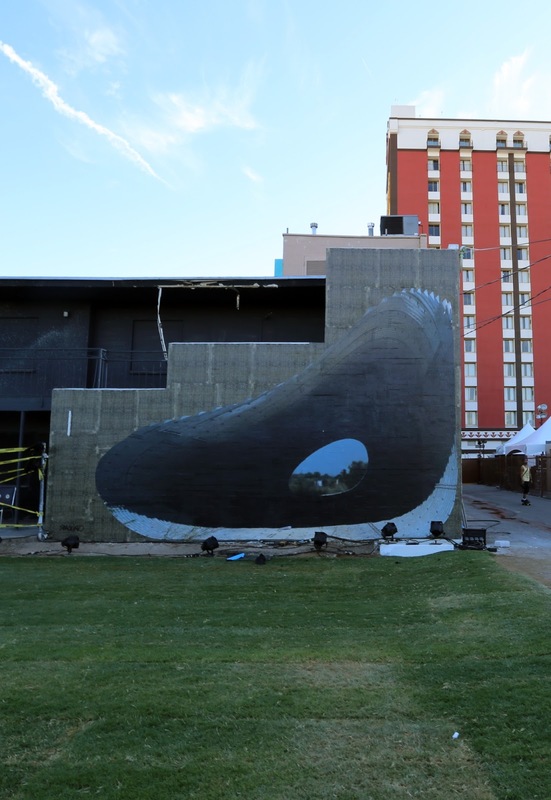 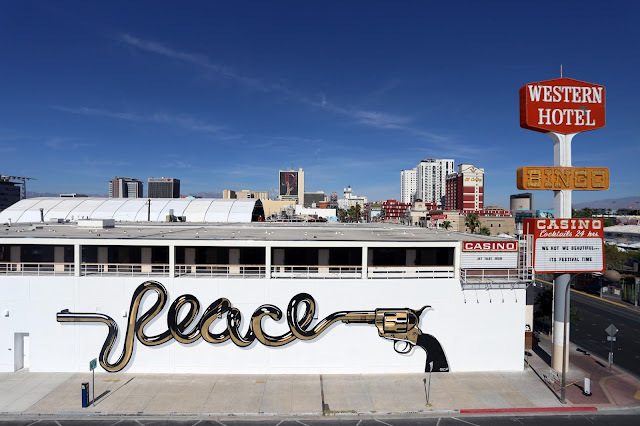 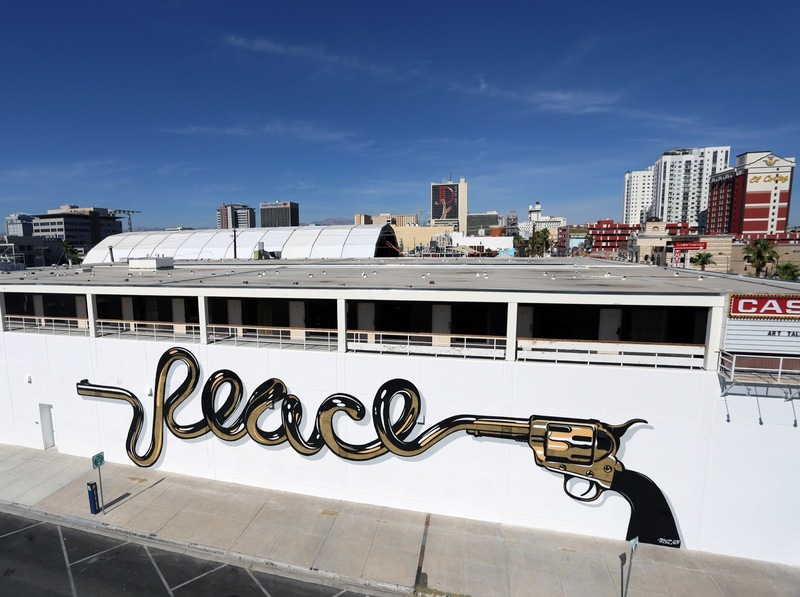 After three years, the festival and JUSTKIDS literally changed downtown Las Vegas, which now acts as one of the largest open-air art gallery in North America with over 30 permanent murals and installations. 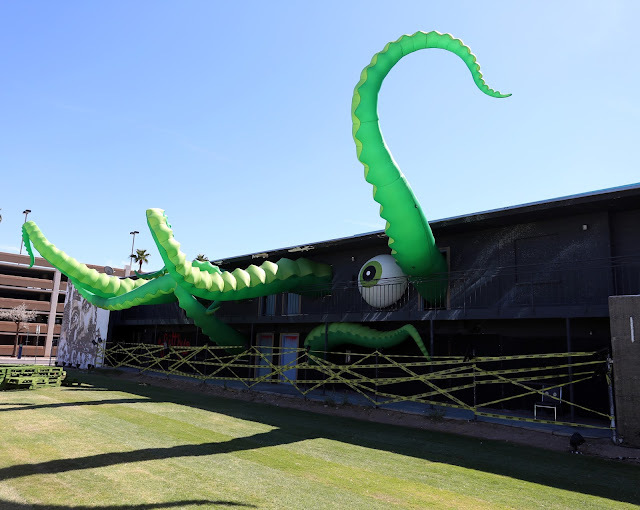 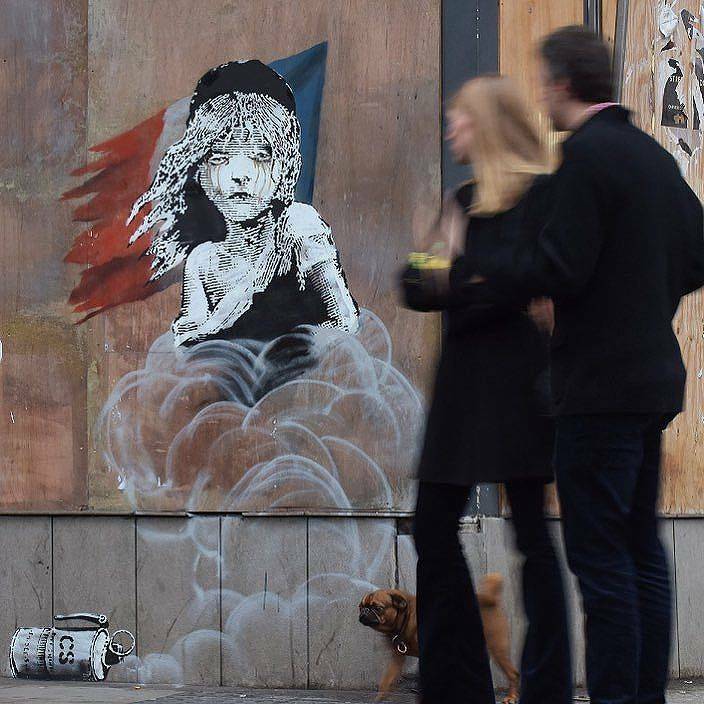 Hit the jump to discover our full recap on this year’s edition and as usual stick with your friends at StreetArtNews for the latest updates from festivals around the world.